Our community engaged in the theatrical experience. Welcome to Foothills Community Players! 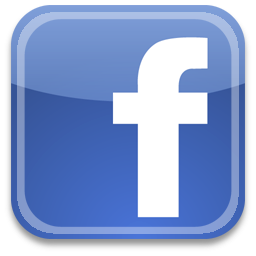 Foothills Community Players is a Nonprofit 501c3, organization. Foothills Community Players furnishes an outlet for the creative talents of its volunteers. FCP offers the opportunity for individuals, with or without formal theatrical backgrounds, to get involved in all areas of theatrical production whether on stage or behind the scenes. The work of FCP is carried out by volunteers from Blount & Knox County areas making it a true community theatre group. FCP�s operating expenses are funded through box office ticket sales, season ticket sales, grant and personal donations, and fundraising activities. The Clayton Performing Arts Center at the Hardin Valley Campus of Pellissippi State Community College is a top-of-the-line arts facility which boasts a proscenium theatre, classrooms, and music practice rooms and offices. It�s there that Pellissippi State welcomes audiences to share in a myriad of activities, from concerts and plays to film festivals and lectures. With ample free parking, accessibility for people with disabilities and proximity to the interstate, the 500-seat facility stands as one of the area�s best venues for the performing arts. Experiencing an event in our Clayton Performing Arts Center is more than just attending, it�s a chance to participate in an exploration of The Arts at Pellissippi State. 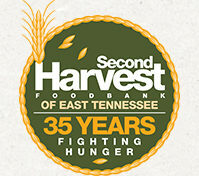 Second Harvest Food Bank is East Tennessee�s largest hunger-relief charity; operating programs in 18 counties. The food bank secures and distributes over 18 million pounds of food and grocery products annually through a network of over 500 partnering non-profit organizations such as food pantries, soup kitchens, emergency shelters and schools. The Clayton Center for the Arts on the Maryville College Campus is a complex of entertainment venues which includes an outdoor Plaza, an expansive recital hall, the Haslam Family Flexible Theatre with a seating capacity of 200, and the Ronald and Lynda Nutt Theatre, a spacious proscenium theatre with continental seating in the orchestra and balcony. We will be performing some of our shows at this venue. Thank you so much for your interest in Foothills Community Players, and we look forward to entertaining and serving our community for generations to come. "The arts are at the very center of community development in this time of change� change for the better. It is essential to the future of our country that the arts be encouraged and supported."